Egypt's president on Monday sought to defuse tensions with Ethiopia and Sudan, reassuring them that his country was not meddling in their internal affairs or planning to go to war against them. Egypt has expressed mounting alarm over a soon-to-be-completed upstream dam in Ethiopia that Cairo fears could cut into its share of the Nile River, which provides nearly all its freshwater. It has accused Sudan of siding with Ethiopia, and of reviving a longstanding border dispute. But in televised comments, President Abdel-Fattah el-Sissi said Egypt's strategic choice was peace, not war. "Egypt neither conspires nor meddles in in anyone's internal affairs. We are determined to have good relations (with Sudan and Ethiopia). Our region has seen enough the past few years," he said. "We are not prepared to go to war against our brethren or anyone else for that matter. I am saying this as a clear message to our brothers in Sudan and Ethiopia," he added. The Egyptian leader also called on his country's media to cease attacks on Sudan, saying it should follow the example of his administration which, he said, refrained from insulting its neighbors even in the face of accusations and intentional slights. Egypt says Ethiopia is not doing enough to ease its concerns about the effects of filling the reservoir behind the dam, which is expected to begin soon and could cut into Egypt's share of the Nile. Ethiopia says the $5 billion dam is essential for its economic development and argues that the vast majority of its 95 million people lack electricity, which the dam's hydroelectric plant will generate. Egypt, with a population roughly equal to Ethiopia's, has traditionally received the lion's share of the Nile's waters under agreements reached in 1929 and 1959. Other Nile basin nations view those agreements as unfair, saying they ignore the needs of their own large and growing populations. Sudan has meanwhile revived a longtime border dispute with Egypt, which has refused to negotiate over the issue or submit the conflict to international arbitration. Egypt in turn accuses Sudan of conspiring with Qatar and Turkey against it. Sudan last week recalled its ambassador in Cairo for consultations. Earlier this week, Sudanese media reports quoted a senior government official as saying Egypt and its regional ally Eritrea are massing troops on its eastern border. However, the Sudanese Foreign Minister later played down the reports during a visit to Khartoum by his Ethiopian counterpart. He said his own country's buildup of forces near the border with Eritrea was designed to counter a rebel threat. He did not elaborate. Egypt does not officially have troops deployed in Eritrea, although persistent but unconfirmed media reports speak of Cairo enjoying access to a military base in the Horn of Africa nation. Sudan is at sharp odds with Eritrea, which has in turn been a bitter rival of Ethiopia's since the two nations fought a war in the 1990s. Ethiopia also accuses Eritrea of training rebels to carry out sabotage attacks on the dam. El-Sissi hosted Eritrean President Isaias Afwerki in Cairo last week, but little of any substance has emerged from their talks. Pro-government Egyptian media reports have for days been saying that Ethiopia's prime minister, Hailemariam Desalegn, plans to visit Cairo this month for talks with el-Sissi. Add Interests Customize your news feed by choosing the topics that interest you. Paper-thin tiles developed by Milwaukee-based Scanalytics measure foot compressions to analyze people's movements over time so stores know what products displays draw customers' attention and for how long. That allows businesses to study what sells, know when to schedule staff for busy times, and what store layout is most effective. The technology might still be too pricey for smaller retailers, however. Companies such as Toronto-based Vendlytics and San Francisco-based Prism use artificial intelligence with video cameras to analyze body motions. That can allow stores to deliver customized coupons to shoppers in real-time on a digital shelf or on their cellphones on an app. Sunglass Hut and fragrance maker Jo Malone are using laser and motion sensors from Perch Interactive to tell when a product is picked up but not bought. The technology can also make recommendations for similar items on an interactive display. Wi-Fi beacons can track customer movements — as long as they connect to the store's internet. Because not everyone opts in, stores have a smaller sample size to analyze. Another drawback is that it's not possible to tell whether a customer is inches or feet from a product. Japan's Softbank is investing 460 million euros ($558 million) in German used car trading platform AUTO1. The Berlin-based company was launched in 2012 and operates in over 30 countries, selling more than 40,000 cars a month on its associated sites. AUTO1 said in a statement Monday that the investment from Softbank Vision Fund values its business at 2.9 billion euros. The company had revenue of 1.5 billion euros last year. Akshay Naheta, a partner at SoftBank Investment Advisors, was quoted as saying that AUTO1's platform adds "efficiency and transparency to the fragmented used car market, which is worth more than $300 billion annually." The automaker is investing another $11 billion in the project. Film star Catherine Deneuve has apologized to victims of "odious" acts of sexual abuse, after she signed a much-criticized letter saying men are being unfairly accused of sexual misconduct. The letter, signed by 100 French women, says the wave of accusations against powerful men since the Harvey Weinstein scandal has gone too far. The letter prompted a backlash in France and beyond. In response, Deneuve wrote a letter published Monday by daily Liberation apologizing to abuse victims. However she also defended her view that men are becoming victims of a "media lynching" and that the current atmosphere threatens sexual freedom. She denounced abuse of power and called for better justice against proven abusers. She also defended her feminist credentials, noting that she publicly backed legalizing abortion in France. Dr. Jennifer Ashton shares tips on how to keep the rest of the household healthy when one family member at home comes down with the flu. North Korea's delegation to the Winter Olympics in South Korea will include a 140-member art troupe, the two sides agreed Monday, while discussions continue over fielding a joint women's hockey team. The two Koreas met Monday for the second time in a week as they try to hammer out details for the North's participation in next month's Games, which the South sees as a way to calm tensions caused by Pyongyang's nuclear and missile tests. North Korea said the art troupe will comprise 80 orchestra members and 60 members who sing and dance. The North Koreans will perform twice — once in Seoul and the other in the city of Gangneung, where some of the Olympic competitions will be held, according to South Korean delegates who attended the meeting. Separately, South Korean Sports Ministry spokesman Hwang Seong Un said that the two Koreas have agreed in principle to field a joint women's ice hockey team. The proposal requires International Olympic Committee approval. If realized, it would be the Koreas' first unified Olympic team ever. Officials from both Koreas are to meet with the International Olympic Committee at its headquarters in Switzerland on Saturday. The two sides agreed Monday to meet again at their border on Wednesday for working-level talks ahead of the IOC meeting. North Korea last week agreed to send an Olympic delegation and hold military talks aimed at reducing frontline animosities in its first formal talks with South Korea in about two years. The North has said its delegation to the Feb. 9-25 Games in Pyeongchang would include the art troupe along with officials, athletes, cheerleaders, journalists and a taekwondo demonstration team. The reasons for North Korea's softer approach are not clear, though some analysts say the North may be trying to divide Seoul and Washington as a way to weaken pressure and sanctions on the country. North Korea carried out nuclear and missile tests last year that triggered harsher U.N. sanctions and worldwide condemnation. Others speculate the North wants to use the Olympics to show it's a normal country despite possessing nuclear weapons. North Korea has insisted its talks with South Korea won't deal with its nuclear and missile programs, saying those weapons primarily target the United States. Critics question how long the warmer mood can last without any serious discussion on the North's nuclear disarmament. The North issued a veiled threat Sunday that it could cancel its plans to send an Olympic delegation to protest what it called South Korea's "sordid acts" that chilled the prospect for inter-Korean reconciliation. "They should know that (the) train and bus carrying our delegation to the Olympics are still in Pyongyang," the North's official Korean Central News Agency said. "The South Korean authorities had better ponder over what unfavorable results may be entailed by their impolite behavior." KCNA criticized remarks by South Korean President Moon Jae-in last week that credited President Donald Trump for getting the North to sit down with the South. It also accused Seoul of letting Washington deploy strategic assets like an aircraft carrier near the Korean Peninsula on the occasion of the Olympics. The United States is beefing up its presence around the peninsula in what it describes as routine training and scheduled upgrades. The warning is relatively milder than the North's typical fiery, bellicose rhetoric and it didn't appear to put the recent signs of warming Korean ties in imminent danger. The North Korean art troupe being sent South is to play folk songs and other classic masterpieces that are well-known to both Koreas and can go with the theme of unification, chief South Korean delegate Lee Woo-sung said. He said more discussions are expected to work out details of North Korean performances. The art troupe would be larger than the previous six that North Korea has sent to South Korea since 1985. The North last sent such a group in 2002, according to Seoul's Unification Ministry. A joint statement after Monday's meeting didn't mention North Korea's well-known Moranbong Band, an all-female ensemble hand-picked by the North's leader Kim Jong Un. One of the North Korean delegates to the talks was Hyon Song Wol, the head of the band, fueling speculation that North Korea might send the band. Since its first stage debut in 2012, the band is hugely popular at home and has been dubbed by outsiders as "North Korea's only girl group" for its Western-style performances featuring women in mini-skirts and high heels dancing and singing odes to Kim. Michelle Williams is responding to the controversy over a pay gap in which she was paid less than 1 percent of what her male co-star, Mark Wahlberg, received for reshoots of the film, "All the Money in the World." 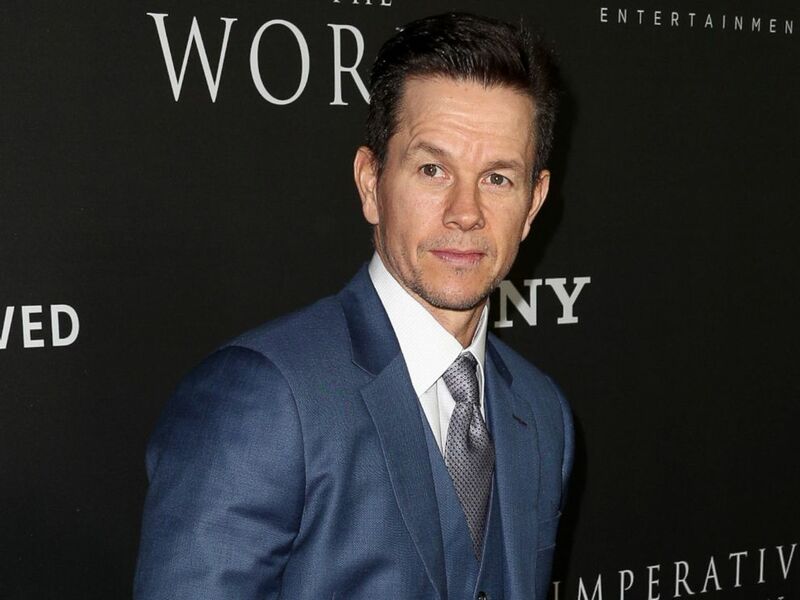 The actress spoke out Saturday after Wahlberg, 46, announced in a statement that he's giving his $1.5 million fee from the reshoots to the Time's Up Legal Defense Fund in Williams' name. Wahlberg's agency, William Morris Endeavor, also donated another $500,000, bringing the total gift to $2 million. The legal defense fund aims to "subsidize legal support for individuals who have experienced sexual harassment or related retaliation in the workplace," its website reads. In contrast to Wahlberg's pay, Williams, 37, was paid $80 per diem for a total of less than $1,000 for reshoots for the film. "Today isn’t about me," Williams' statement began. "My fellow actresses stood by me and stood up for me, my activist friends taught me to use my voice, and the most powerful men in charge, they listened and they acted." She added, "If we truly envision an equal world, it takes equal effort and sacrifice. Today is one of the most indelible days of my life because of Mark Wahlberg, WME and a community of women and men who share in this accomplishment. Anthony Rapp, for all the shoulders you stood on, now we stand on yours." 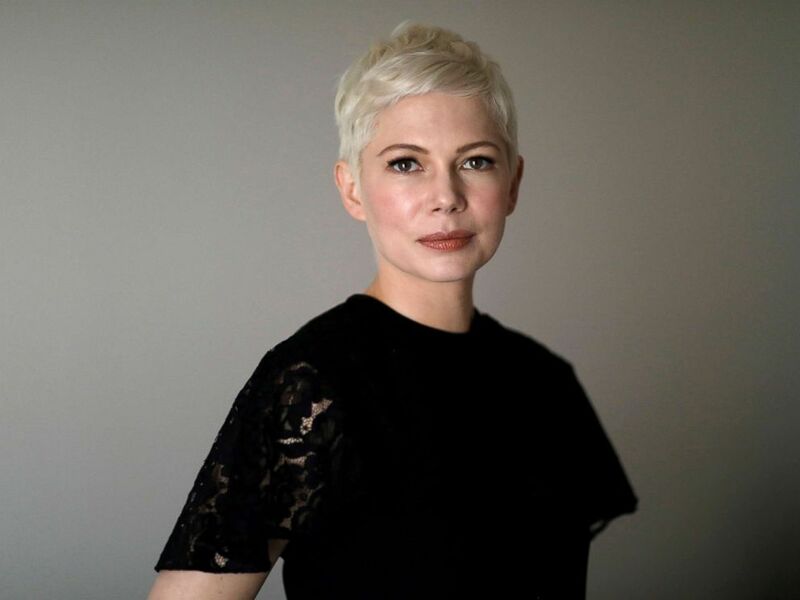 Michelle Williams poses for a portrait while promoting the movie "All the Money in the World" in Los Angeles, Dec. 16, 2017. Rapp, 46, publicly alleged in an October Buzzfeed article that one-time "All the Money in the World" star Kevin Spacey attempted to seduce him at a party back in 1986 when Rapp was 14. Spacey issued an apology in the wake of Rapp's accusations, saying, "I honestly do not remember the encounter, it would have been over 30 years ago. But if I did behave then as he describes, I owe him the sincerest apology for what would have been deeply inappropriate drunken behavior." After Rapp's allegations became public, other claims of Spacey engaging in sexual misconduct followed. Mark Wahlberg attends the premiere of Sony Pictures Entertainment's "All The Money In The World" at Samuel Goldwyn Theater, Dec. 18, 2017 in Beverly Hills, Calif. The 58-year-old "House of Cards" actor was replaced by Christopher Plummer in "All the Money in the World," which centers on the story of the 1973 kidnapping of billionaire J. Paul Getty's grandson. The change came less than two months before the film's scheduled release. Rapp responded to Williams' statement on Twitter Saturday night, writing: "I’m very moved by Michelle Williams’ kind words." I’m very moved by Michelle Williams’ kind words. Earlier Saturday, Wahlberg explained in a statement obtained by ABC News why he was donating his fee from the film. “Over the last few days my reshoot fee for 'All the Money in the World' has become an important topic of conversation. I 100% support the fight for fair pay and I’m donating the $1.5M to the Time’s Up Legal Defense Fund in Michelle Williams’ name," he said. His agency, WME, added in a separate statement, "The current conversation is a reminder that those of us in a position of influence have a responsibility to challenge inequities, including the gender wage gap." "It’s crucial that this conversation continues within our community and we are committed to being part of the solution," the statement added. Officials from North and South Korea will meet this week to discuss again North Korea's participation in the Winter Olympics amid cooling tensions between the two, but the North warned it could choose to cut off its cooperation at any time. North Korea today proposed the working-level talks for Wednesday during a meeting between the two sides, according to the South Korean Unification Ministry, which said it accepted the proposal. Officials from the two Koreas met today to iron out details about the North’s plan to send a delegation to the South during next month’s Winter Olympic in Pyeongchang, South Korea. During today’s talks, a follow-up to a breakthrough meeting with high-level officials from both sides last week, North Korea said it would send three delegates to attend Wednesday’s meeting. The two sides met today on the southern side of Panmunjom, a demilitarized zone known as the truce village. It was the second such meeting in less than seven days. But the relationship between the two Koreas is still a complicated one, which North Korea proved Sunday when it indirectly threatened to pull out of the Olympics to protest what it called South Korea's "sordid acts of chilling" reconciliation efforts, North Korea’s state-run Korean Central News Agency said. "They should know that train and bus carrying our delegation to the Olympics are still in Pyongyang," Korean Central News Agency said. "The South Korean authorities had better ponder over what unfavorable results may be entailed by their impolite behavior." The Korean Central News Agency also criticized South Korean president Moon Jae-in for suggesting that President Donald Trump deserved credit for bringing the two sides together. ABC News' Kate Lee Hakyung contributed to this report.